This is our Top Rated BBQ Grill – Buffalo Folding Propane Gas Barbecue On Wheel for any gas BBQ needs. The high powered, heavy duty, convenient and portable Buffalo gas barbecue is perfect for all outdoor catering occasions. Constructed with two fitted wheels for greater manoeuvrability and with a high quality stainless steel finish and chrome plated frame. This BBQ is renowned for providing a uniquely reliable and consistent service. It is also supplied with attachments to fit propane gas bottles and fit clip-on side tables that are available separately for added versatility. An ideal festival barbeque, as well as all sorts of other mobile catering such as fêtes, carnivals and outdoor exhibitions. This Oil Drum Charcoal Barbecue has a hinged lid which is perfect for controlling temperatures when cooking. The cooking grill is chrome plated and there’s a warming rack to keep cooked food warm without over doing it. A cover is included for protecting your barbecue all year round and there are wheels for easy transportation. Overall size H90, W93, D64.5cm. Size of cooking area 35 x 71cm. WARNING: Danger of carbon monoxide poisoning – never light this product or let it smoulder or cool down in confined spaces. overall, our This is our Top Rated BBQ Grill – Buffalo Folding Propane Gas Barbecue On Wheel. 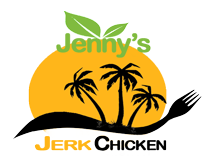 Copyright © Jenny's Jerk Kitchen . All rights reserved.